In a location that has not seen much luck for a couple Sri Lankan restaurants that have briefly lived here, a new West African kitchen has decided to give it a go. 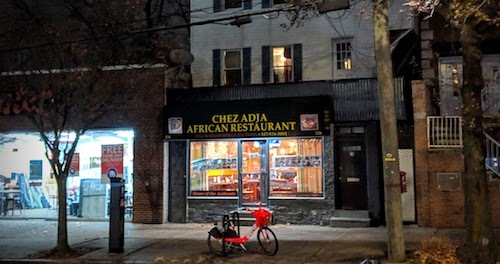 Chez Adja specifically states a specialization in Senegalese foods, the cuisine of the head chef. But the restaurant also has a back page on the menu full of Nigerian options, a product of hiring the Nigerian chef that used to work at now shuttered Wazobia. This bodes well for business though, as many in the neighborhood are Nigerian. On our first go we stuck with the Senegalese parts, excited to see a cuisine in Staten Island that has not been represented before. 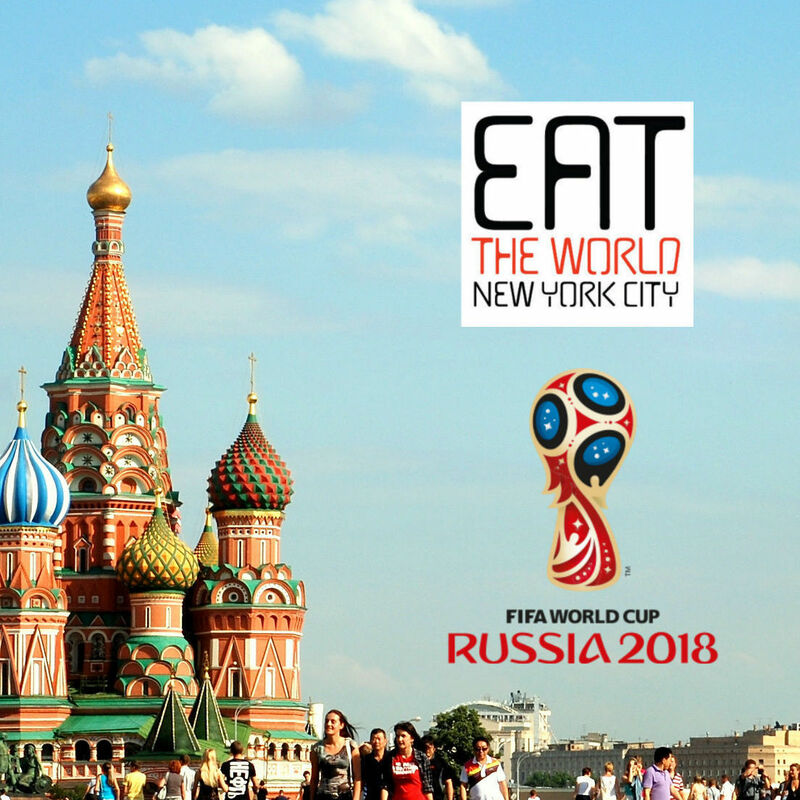 The menu is typical of what you see at similar restaurants in Harlem or Fulton Street in Brooklyn, a rotating lunch menu each day and a larger amount available for dinner nightly. Typical of those restaurants as well, it is better to talk to the chef before setting your heart on something, as many options will be "finished" even if it seems you are the first customers. After settling on the poisson braise (grilled fish), the poisson frite ($15, above, fried fish) arrived looking just fine. They serve two types of mustard sauce here, one with raw onions and the other with cooked onions which reduces much sweeter. 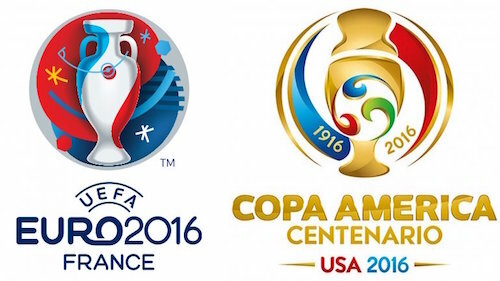 Both are excellent and should be used liberally. A side of rice or couscous is offered for both the fish and debe grilled ($13, below), small hunks of lamb cooked over fire. 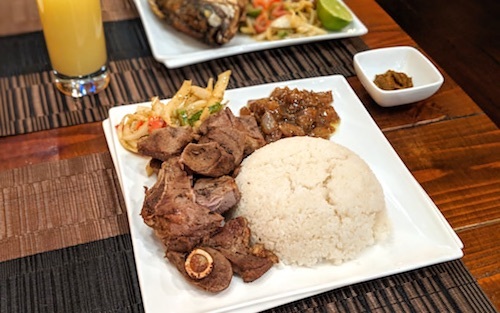 This is the first time I have seen the meat served separate from the mustard sauce, even in Sénégal, but it is easy enough to do the combination yourself. It also came with both sauces, so this gives you the opportunity to pick one or the other. 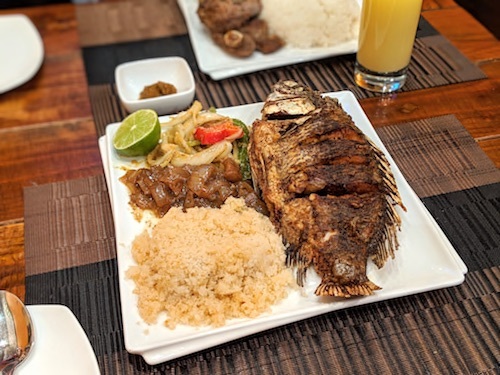 To be fair to the really good restaurants uptown and in Brooklyn and the Bronx, I would not alter plans to go there first, but it is great to see more cuisines being made available on Staten Island for the growing African populations here. Depending on which chef is in on any given night, it might be worth switching between the two cuisines.